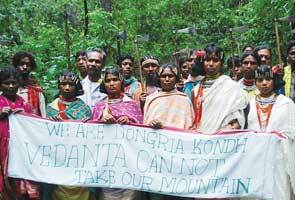 THE UK government has criticized multi-national mining corporation, Vedanta Resources, for ignoring the rights of Dongria Kondh tribals of Kalahandi district in Orissa. The UK governments wing that deals with promoting guidelines on ethical behaviour for corporate bodies reprimanded Vedanta on October 13 following a nine-month investigation based on a complaint by the non-profit Survival International. The non-profit supports tribal movements worldwide. Vedanta was also criticized for not co-operating with the investigators. Vedantas subsidiary, Sterlite Industries, proposes to mine the Niyamgiri Hills in the Eastern Ghats to extract bauxite deposits. The tribals who hold the hills sacred are opposed to mining activities in their ancestral home.The Dongria Kondhs have been fighting Vedanta for the past four years; the Supreme Court (India) cleared the mining operations last year (see Tribals block Vedanta earthmovers, Down To Earth, February 15, 2009). The Supreme Court judge S H Kapadia who cleared mining in Niyamgiri is, meanwhile, defending his conflict of interest in the casehe is on the bench dealing with forest related matters and also owns shares in Sterlite Industries. On October 9, Kapadia gave permission to amicus curiae Harish Salve to file a contempt petition against civil rights lawyer Prashant Bhushan for his comments on the judge. Bhushan, in an interview to a news magazine, had said the judge should have disclosed his ownership of Sterlite shares when the hearing started. Kapadia clarified that he did disclose this fact and since the lawyers involved had no objection, he continued to hear the case as required under the 1999 code of conduct for judges. But Kapadia disclosed the information in October 2007; the case began in 2005, said Bhushan. Bhushan said the judge should have withdrawn from the case and Salve should not have accepted retainership from Vedanta since he was the amicus curiae for the case. He said the only lawyer who might have objected to the judge hearing the case was the one who represented the Dongria Kondh tribals and he was hardly allowed to speak in the court.